Are you looking for a stylish and novel for proms, banquets or parties in a matter of minutes? You have come to the right place, ladies! Read on to find out what we offer you. Curly hair extensions clip in are an easy and effective method to add more length, volume and even color to the natural hair. They can create a new and attractive look in a short period. Besides, curly hair extensions clip in are the answer to long, thick, and bouncy locks that make every woman jealous. These extensions are also a powerful companion for those who are lack of time and patience to wait for their hair to grow. But before going out in public places, extension wearers will want to make sure they know everything about this risky business. Let’s walk into the world of curly hair extensions clip in with Layla Hair! What is precisely curly hair extensions clip in? 1 What is precisely curly hair extensions clip in? 2 What about clip-in colored curly hair extensions? 4 How to take care of curly hair extensions clip-in? 5 How to clip in curly hair extensions? Curly hair extensions clip in are hair bundles with small hair combs attached to the real hair to add more length, volume, and colors. They consist of small pieces, known as wefts, or large pieces extending from ear to ear. Besides, these extensions are available in different colors, textures, and lengths. As its name suggests, hair extensions clip in is made from human hair with clips installed at the top. Women love this hair installation because of its easy-to-use feature and cheap price. These extensions clipped at the roots of the natural hair are easy to install and style. Also, Clip-ins are cheaper than tape-in, microbead, and tip extensions. Moreover, clip-ins come in a wide range of colors and lengths. Especially, curly hair extensions clip in ponytail promises to bring a refreshing and gorgeous look for special occasions. This ponytail hairstyle is a “lifesaver” for those who need an instant change in appearance without spending more money on a complicated hairstyle. These long, thick, and smooth locks will offer more impressive length and volume to our natural hair in an instant. Besides, because they are clip-ins, you can place them in place in a few minutes. What about clip-in colored curly hair extensions? We can also go for colored curly hair extensions clip-in if we want an outstanding look for our hair. This type of extension is very versatile because it allows wearers to style and color based on their liking and mood. Also, due to its human-haired material, clip-in is easy to blend with the real hair. Colored hair extensions clip in are a perfect companion for special occasions and parties. If girls want to be sexier and more attractive, clip-ins with bright color accents or highlights will “steal” everyone’s eyes. We can dye clip-ins to suit our natural hair or dye them with more exciting color shades that match our changing emotions. Are Hair Extensions For Men real? And How To Choose Them Accordingly? How To Choose Clip In Bangs Human Hair Extensions? That’s almost certain that when starting to look for curly hair extensions clip in, we will face with the decision between human hair or synthetic hair. Human hair extensions will help to boost up users’ confidence and provide the most styling flexibility. Despite its high price, human hair extension can be styled by heat and even color dyed. This is the highest quality hair because the cuticles remain intact. Besides, Remy human hair has never treated with chemicals or colored. If women are seeking a more cost-effective option, synthetic hair is not a bad choice at all. Not only is this type of hair not affected by weather conditions but also suitable for short-term use ( last for 1-3 months). 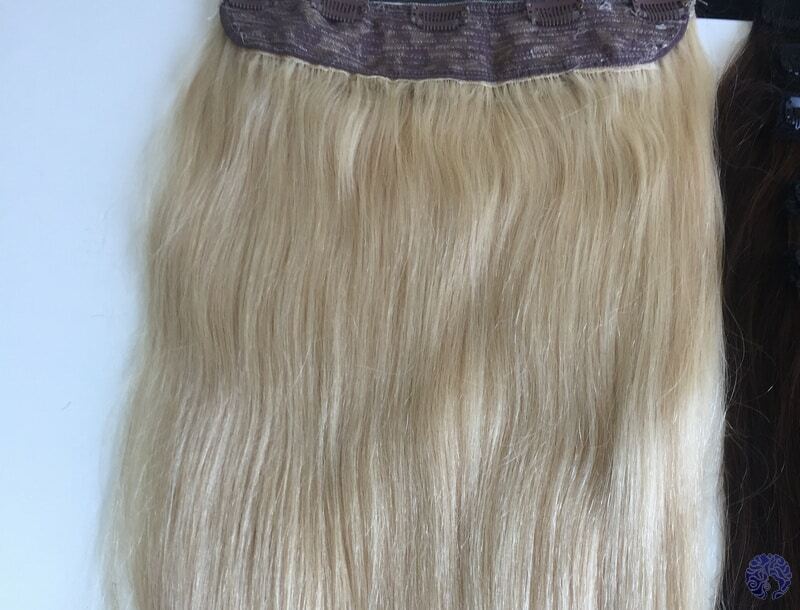 Synthetic hair extensions are cheaper and frizzy, but the majority of them can’t go through heat treatment ( a melting tendency) and own an unnatural glossy look. In conclusion, if girls have the intention to wear these extensions apart from prom nights or special events, Layla hair experts advise using human hair. But if girls need an immediate change for formal events or occasions, they will want to save their pocket and opt for synthetic hair. How to take care of curly hair extensions clip-in? Store dry hair extensions in their original box, shoe box, or silk box. How to clip in curly hair extensions? With clip-in hair extensions, we are able to clip in and remove them whenever we like. Isn’t that awesome? Besides, we can receive the best things from both worlds – long hair and short hair. To prevent the clip-ins from sliding down too far, try to pull that section far from the scalp to create some leverage. Remember that like everything else; it needs a little bit of practice to install curly hair extensions clip in for the first time. But when we are getting used to it, the process only takes a couple of minutes. Visit our website Layla Hair to receive better support and advice as well as useful tips to make ourselves stand out from experienced hair experts. 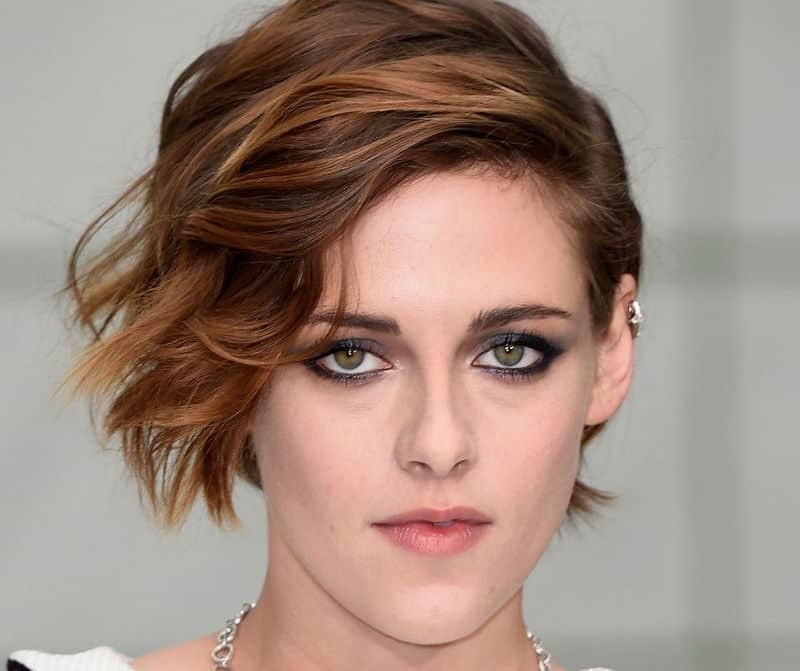 Clip In Hair Extensions For Short Hair – Are You Prepared For A Good Thing? 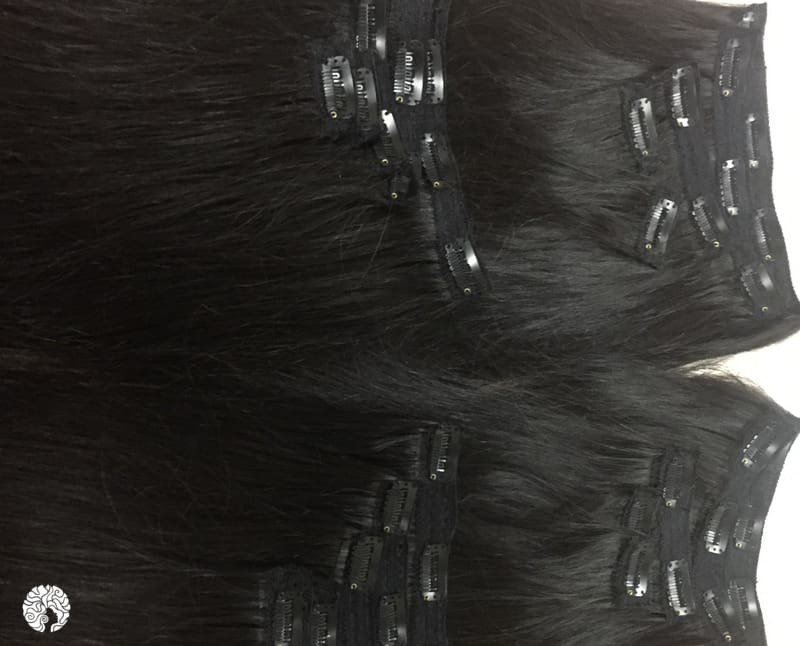 Do You Make These Simple Mistakes In Cambodian Hair Wholesale? Layla Hair is one of the biggest collectors, manufacturers and exporters of Vietnamese Hair and Cambodian hair.